A Theatrically-trained Professional Performer in Singing / Acting / Dance, Caitanya understands the entire process of creating a Staged Production, which translates well into Events. Graduating, she became a Lead Performer at Disneyland, starting her Entertainment career with one of the best Entertainment Corporations in the world – the Events of her life evolving around top operating procedures, top training, and the best international experiences Touring and Hosting with iconic International Brands and companies. She has also managed an incredible Internationally-performing French Artist, Mickael Bellemene, with whom she travelled extensively, learning the ins and outs of management, business, and taking on the task of ‘Entertainment Provider’ for ALL Events Worldwide. 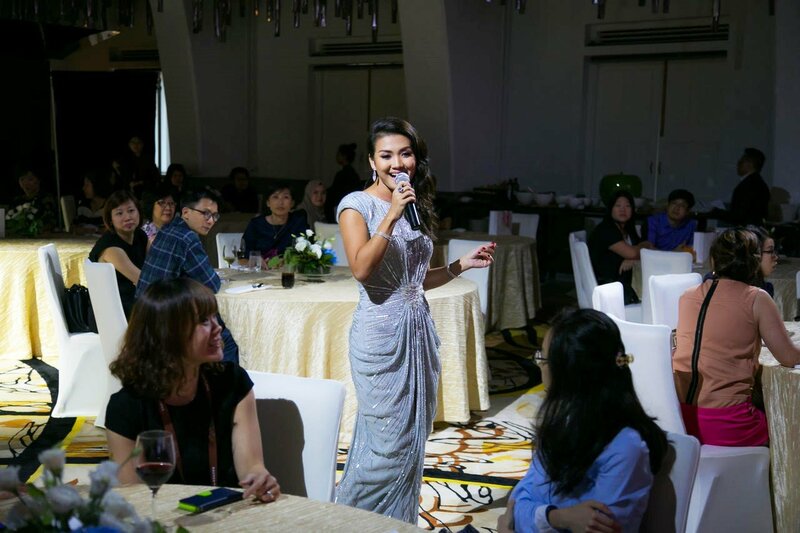 With a a wide scope of experience, Eloquent, Classy, lots of Personality, and a beautifully trained singing voice, she goes on to Emcee some of the most Sophisticated Events in Asia. Working closely with French and European related Cultural, Networking, and Corporate Events, she grows in respect for her job as a Singing Emcee, and aspires to be the best Emcee in Singapore.